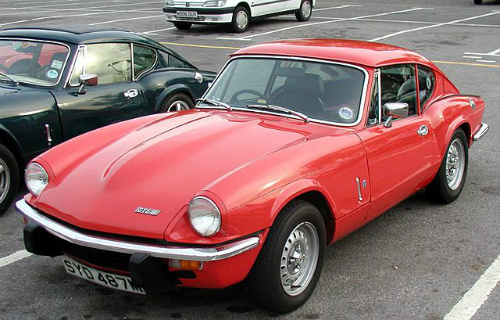 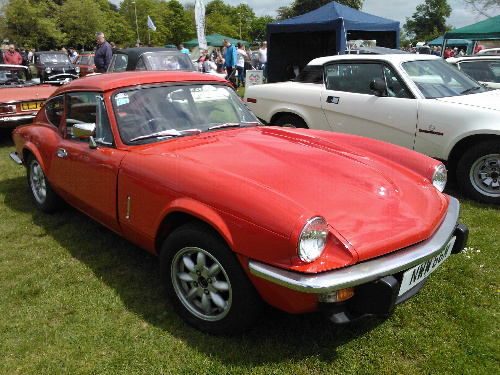 The 1966-73 GT6 sports car was a two seater fixed head coupe version of the Triumph Spitfire convertible, styled by Michelotti, and powered by a 2 litre, straight-6, OHV engine that developed 104 bhp at 5300 bhp and 117 ft/lbs of torque at 3000 rpm. 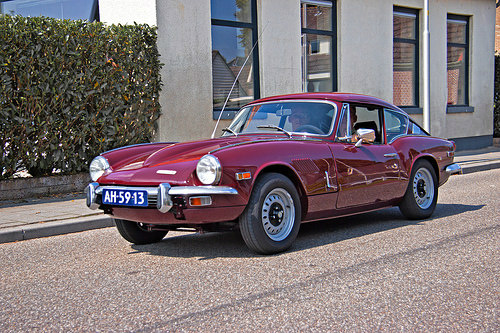 Fitted with a 4 speed all synchromesh manual gearbox with optional overdrive, a 9.25:1 compression, and two Stromberg carbs, it produced a top speed of 112 mph, with 0-60 in 10.1 secs, and a standing 1/4 mile in 17.4 secs. 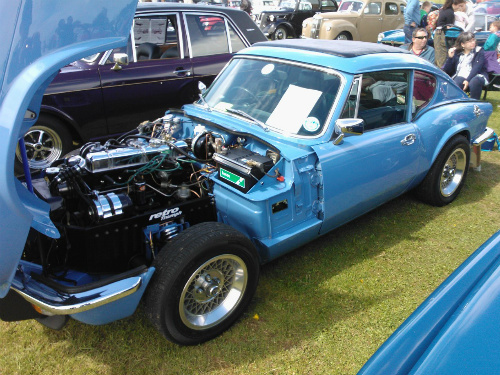 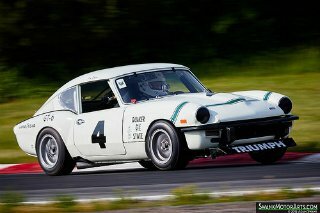 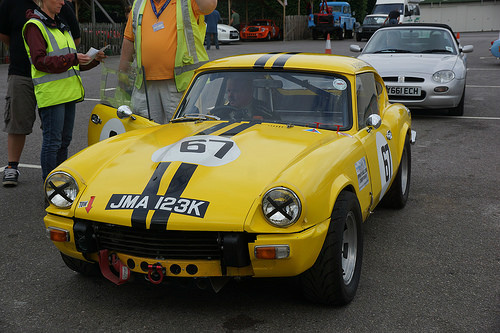 With independent suspension all round, front discs and rear drum brakes, it had a curb weight of only 860 kg. 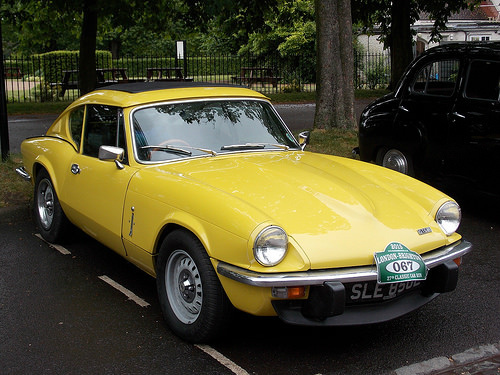 The Mark 3 variant was restyled in 1970 with a smoother front end and a cut-off rear section. 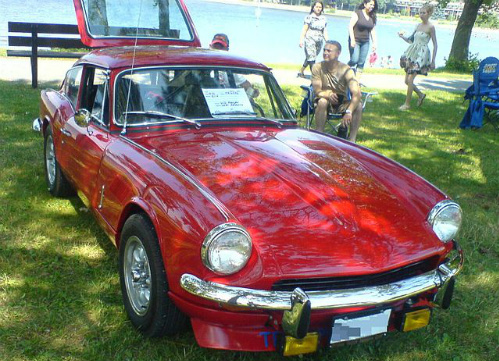 It was never as popular as the MGB. 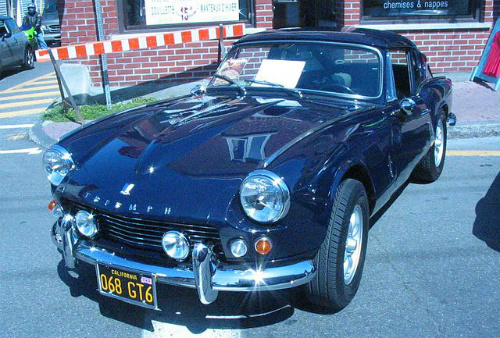 A total of 40,926 of the Mark 1-3 GT6's were built.